If you have small space at home and you receive many guests, a sofa bed will be your best solution. The sofa beds are auxiliary piece that offers us different possibilities of use in our home. In addition, in recent years its aesthetics and comfort have been evolving to adapt to the needs of each person. Here we present some models, and we tell you about their main features and advantages. In the market you will find a wide variety of types of sofa beds and the decision can be complicated. Therefore, if you are renovating your home and would like to incorporate a sofa bed to your furniture set, here are the tips to choose the sofa bed that best suits your requirements. Whether it is fabric or leather sofas, converting it into a bed and putting it back has got to be a simple and straightforward affair. You need not to call your boyfriend, who lives a couple of miles away to come help you out in stashing the bed or rather inconveniently knocking every morning at your neighbor’s house to seek help. Thus, it is worth measuring up to ensure you are able to pull your sofa bed out. Well, another aspect you got to consider before selecting an ideal product for your home is its durability. It’s very discouraging when you dish out lots of bucks only to use the bed for a couple of months before you start going through the brochures for a new one. Ensure you always get something that is worth your money. One big issue with sofa beds is that the bed that folds out is usually lacking in comfort, with the beds having very questionable materials in their mattresses. If these mattresses are not thick enough, they are made of mattresses that do not provide comfort even given the compromisable standards of a sofa bed. Classic Brands’ sofa bed solves this problem by having a memory foam mattress. Being a newer and very popular form of fabric that is proven to be effective in providing comfort, the memory foam fabric is a very nice improvement over an older sofa mattress in terms of comfort as well as general effectiveness. However, memory foam is quite common, and has a tendency to be a little more compact than is desired. 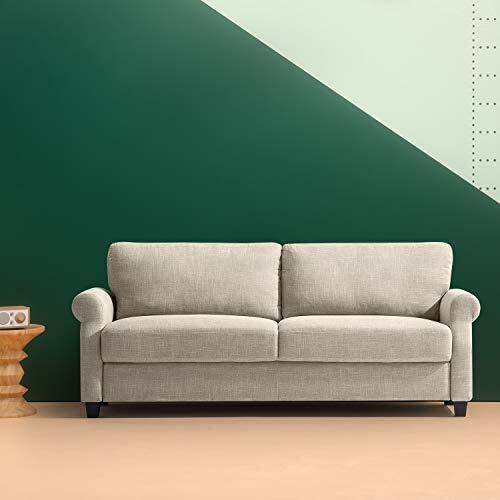 It will take some time for Classic Brands’ sofa to expand once it is rolled out. It will take a bit longer than usual mattresses to air out. Because it is also sealed in plastic, there is also a good chance that it could produce a slight odor when rolled out. While this is another issue that solves itself after being aired out, it is still something that needs to be dealt with. Fold out mattresses for sofas and couches can take a bit of effort to prepare and even maintain. If the mattress that comes with the couch is not made of very comfortable material, it will likely need to be replaced, and if something goes awry in the mechanical parts involved in the fold out mattress, it runs the risk of being completely useless. This is not an issue with Divano Roma’s sofa bed because instead of employing a fold out mattress, it contains a chaise that can extend the sofa into a bed of sorts. It has a configurable section which allows this chaise to be placed on any end of the sofa, which is very convenient. The fabric is also quite soft and the cushion is also very thick and overstuffed which makes it easy to sleep on. The description of Divano Roma’s sofa being for small spaces is unfortunately too accurate. With the sofa itself being a little over six feet long and the chaise being only a little longer than five feet, using this sofa as a bed may not be ideal for some people. Because this chaise has a configurable section, it can also be flimsy, and if this sofa is used daily or on any other regular basis, it might not last. One thing about sofas with fold out mattresses or sofas that have expandable sections is that they can either take up a lot of room or they can require a person to place an additional mattress on top of whatever fold out mattress is inside the sofa for additional comfort or cushioning. This can be a problem for smaller rooms or other spaces where it may not be possible for a full size sofa to be placed in. Mechali’s sofa bed is more like a convertible love seat which can fold out into a giant lounge chair that can act as a bed. This is accomplished by using the same kind of functionality as a fold out mattress, but instead uses part of the love seat as the entire mattress. This saves all kinds of room, and even better, does not require anybody to get a new mattress if the fold out mattress is not desirable. There are a couple of things to watch out for when it comes to Mechali’s sofa bed. The first is that it does not fold out into a complete mattress. It only adds another “piece” to the sofa. This means that there is a separation in between the original sofa bed and the added part that has been folded out, and that can cause some discomfort. The love seat itself is not very long at all. The full size sofa is only a little longer than five feet, which can be an issue if a taller person wishes to sleep on it. When it folds out, only about 20 more inches are added and this may not be enough room for somebody to sleep on it comfortably. Functionality will never be an issue when it comes to Altrobene’s sofa bed. Because it is a set of two, they can be put together to form a sofa, or work standalone as an accent chair. They fold up to create a flat space which functions as a bed. With Altrobene’s sofa bed, there is no need to determine if there is room for a mattress to fold out or anything of the sort. Because it has a split back, Altrobene’s sofa bed is very easy to use and contains no complications at all. Sofa beds with fold out mattresses have the propensity of having faulty gears or springs. This is never an issue with a split back sofa bed. There is something questionable about how Altrobene’s sofa bed is designed. It has four legs, but when split, it uses the same four legs for stability. If a bigger person were to sleep on it, there may be cause for concern since there would be a lot of pressure placed in the middle of the sofa bed. Because these legs are also tall, they might not be able to sustain so much pressure over a long period of time. Another questionable aspect of this particular sofa bed is that it requires two of them placed together to make a complete bed. This can cause the sofas to come apart whilst sleeping on it, making things a bit uncomfortable and/or dangerous. One major problem with sofa beds with fold out mattresses or split back designs is that they are often not perfectly comfortable and can even be flimsy and even complicated in their design. For instance, a lot of these are less than five inches thick, which do not really provide a lot of support in the slightest. Zinus does not even attempt to contain any of these types of gadgets with their sofa bed. Instead, they made this sofa bed very, very big and long. It is nearly 80 inches long and about 30 inches wide, which easily makes Zinus’ sofa bed almost function as a twin size bed as well as a sofa. 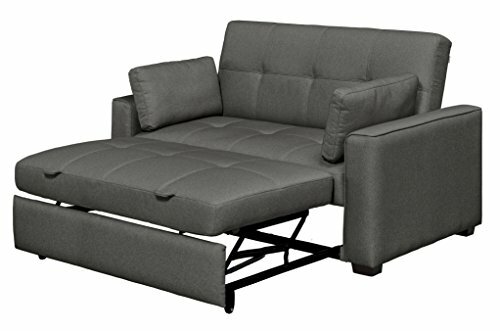 The cushions on this sofa bed are very soft and extremely thick, which makes Zinus’ sofa bed preferable for anybody who does not want to deal with using any of the “attachments” that most sofa beds provide. The massive size of Zinus’ sofa bed can also be problematic. It weighs well over 100 lbs, and does require a bit of assembly to put together. Unlike most other sofa beds, it is not suitable for smaller homes in any aspect. It will be able to fit into a living room, but it will not fit at all in a bedroom. Anybody who prefers a size of mattress that is not twin size will not get what they want with Zinus’ sofa bed. Because it does not contain a fold out mattress and because it cannot convert into a mattress, options are limited. The term “sofa bed” can mean a few things, but most conceptualize it as a sofa that can also be a bed. Nothing describes this more than the massive futon like sofa that is the Rocky Mountain. 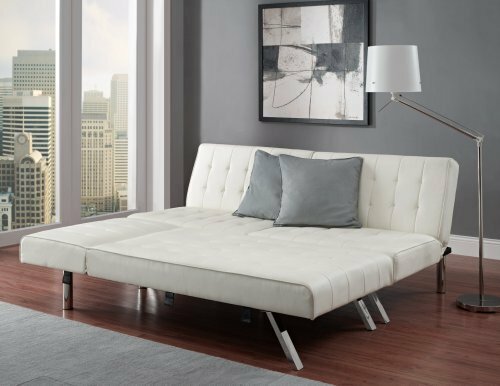 At an impressive 89 inches long and 35 or so inches wide, the Rocky Mountain sofa bed truly lives up to its name and completely eliminates the need for any attachments that are traditionally a part of most sofa beds. The Rocky Mountain sofa bed also looks very appealing and contains very large cushions that are extremely comfortable. It also contains springs that most other mattresses contain which provide a lot more support than most other sofa beds do. 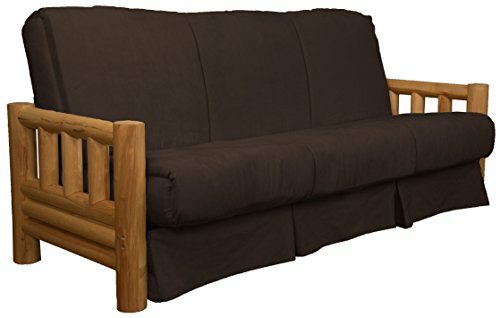 It is claimed that the Rocky Mountain sofa bed can support up to 700 lbs. Smaller, or even average size households are not designed for the Rocky Mountain sofa bed. It is far too big for an apartment or even a decent sized townhome. Another thing about it is that it is very complicated to set up because it is a combination of a futon and a bed. It will be necessary to put this particular sofa bed together with tools that they provide, but it will still be a very long process to put everything together. Even when things are put together, if only one mistake is made, the springs can break on the Rocky Mountain bed. It is a good example of a sofa bed that is trying to accomplish too much with its design. Similar to other futons by Epic Furnishings, the Laguna sofa bed is massive, and perfect for larger households who want a massive sofa that can double as a bed in their living room. It is much more sturdy than many other futons, containing an oak finish for its arms and its base. This makes it much more better than most other futons, which have metallic framing which will not support a lot of weight. Comfort is not an issue with the Laguna sofa bed either, as the upholstery is made up of microfiber suede. This makes the surface much easier to sleep on than most other futons, which do not have much to offer when it comes to total comfort. Sofa beds as big as the Laguna are always going to encounter problems, just because they are so massive. The Laguna is no exception to this, and putting it together and assembling it can be a major problem. It will take more than one person to assemble the Laguna because of this. Like most futons of its size, it contains springs and other kinds of hardware that are necessary for it to support any kind of weight. While this is to be expected, it is still something that needs to be mentioned. One advantage that the metallic wireframe futons have over the Laguna is that it is much easier for them to fold out into a bed. Because of the added wood finish of the base of the Laguna, it is a bit more difficult to fold it out into a bed than other futons are. One thing that is not common among futons and sofa beds are that they usually arrive in one unit and do not come in a set. What sets the Modern sofa bed apart from others is that it is a “set” of different units that can make up a bed if necessary, but also function as a sofa or as a chaise. This allows for a lot of versatility when it comes to setting up a sofa or a bed in the home. Instead of being forced to have a sofa or a chaise, you have the option of setting one piece of furniture up in one area and another piece set up in an area. These pieces of furniture are not terribly heavy either and are easy to move about. 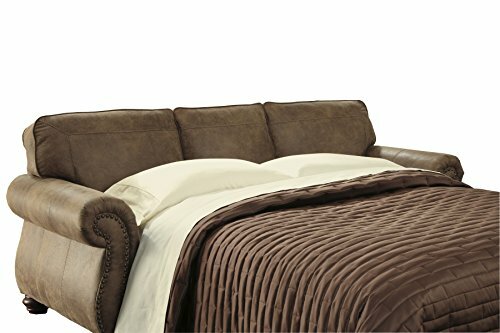 Comfort is a major issue when it comes to the Modern sofa bed set. While it does look very appealing, not having the “plain” look that most other futons or sofa beds have, the cushioning is not very deep at all and it can be very uncomfortable to sit and sleep on. Prepare to have additional mattresses on hand if you want to use this as a bed, because it does not promise any kind of comfort. Most of the time, futons and sofa beds have a very simplistic design that does not impress a lot of people. This is due in large part because they are designed for function over aesthetics. This is not the case with Ashley’s sofa bed, as it looks really nice compared to most other sofa beds. The arms are rounded, which is different than most futons that do not have a rounded arm. This makes it a nice piece of furniture for lounging as well as for sleeping. Ashley’s sofa bed pulls out into a queen size mattress, which means that size is not an issue at all. It is possible for people of all sizes to sleep on this sofa bed without too much of an issue. Being 89 inches wide, it is a perfect fit for any living room. Faux weathered leather can be a bit questionable as a surface, and while it does look nice, it may not be as functional as any traditional sofa bed surface. Although this is a matter of preference, weathered leather as a surface only really appeals to those who specifically enjoy it as a surface, which are not too common. While its functionality is a very vital aspect, there are a number of factors you ought to consider before you set out to purchase one. Just like any other piece of furniture in your living room or even appliance in your kitchen, before being purchased, needs are considered. Therefore, in this case you got to consider if it will majorly be used for sleeping or sitting. One of the most important things worth considering is how easily the mechanism that converts the bed into a sofa works and also the type of mattress it arrives with. As mentioned earlier, the best sofa beds come in different sizes and as such they also come with different types of mattresses. Some of the mattresses use specialty materials others have an in built spring and others are air beds. If you plan to use one with the type of mattress you will most be comfortable with. As there are a quite number of manufacturers making the sofa beds, you will notice major differences in terms of quality and prices. Needless to say, cheap is expensive, buy the best quality that is pocket friendly, but keeping in mind quality is directly proportional to price. Well, if you have space restrictions in your apartment, then the twin size sofa beds might be the ideal solution for you as they are less than 5 feet wide and are perfect for one person. When opened up, the length can stretch to about 50 inches wide and 80 inches long. While they may not be considered for their affordability, they are majorly considered for their usefulness when it comes to space restrictions. If the main purpose is to be used every night, then a full size sofa bed is what you will need. For an adult, a twin size may be quite daunting for everyday use, while a full sized one can accommodate two adults. However, if two people are considering using it regularly, the bed might turn out to be uncomfortable as it is not spacious enough. For sitting purposes, the size of a full sized one is like that of a love seat, more of an apartment sofa, so it is still an ideal option for very small apartments and spaces. Generally, the full size is approximately 70 inches wide and about 90 inches long when fully opened. When space is not really a big issue, then you should get the queen sized sofa bed which comes in different designs and fabrics and use different types of mattresses. The queen size can easily accommodate a seat for a maximum of three and a comfortable bed for two. Measuring about 85 inches and 9 inches long when opened up as a bed, it is the biggest of all sofa beds available in the market. Any room can be turned into a guest room or bedroom by placing a quality sofa bed there. Sofa beds are the most versatile pieces of furniture in any home that have come a long way since their inception when they were considered uncomfortable. In fact, right now the best sofa beds have been accredited for their comfort as regular beds. So when looking around, it is therefore worth remembering that it will be predominantly used for seating purposes, therefore, it only makes sense to be on the lookout for features you would do in a regular sofa set. The only distinction is you’ll be looking for an effective and efficient operating mechanism and a comfortable mattress in equal measure. The following are tips on purchasing a quality product. These sleepers consist of two frames, wooden and metallic frames. The wooden frame is normally used to give shape to the sofa bed. Kiln-dried hardwood offer the solidest and most long lasting frames for any sort of sofa including sofa beds. Frames made of soft woods such as pine should be avoided at all costs. Alternatively, a blend of kiln-dried hardwood and furniture graded plywood frames are also recommended. The metallic frames on the other hand are used in pulling out the bed and offering support to the mattress. As mentioned earlier in the article, the mechanism in a good product should operate in one smooth motion without squeaking and sticking. Ensure you look out mechanisms that have been formulated with a lock down bar to enhance proper opening and closure. It is therefore important to monitor attentively to ensure that the opening mechanism is placed well jointly, and parts will not in any way fall off easily. All parts of the sofa bed mechanism and the edges should be completed with even edges. Trust me, you don’t want your exquisite sheets and blankets snagging up and tear off as a result. However, when you are using it in your aboard, and even on the ones with the superlative operating systems, it is always advisable to take off your sheets and blankets before disintegrating it. Consequently, this will not result in the realignment of different parts of the sofa bed. Whenever you are out shopping for one, it is always a good idea to always test it before buying it. Try opening and closing the sofa bed to be able to judge for oneself how it operates. Ideally, it should be able very easy to operate and one should not in any way have a strenuous time when using it. So again ensure you test it before using it. Thicker mattress doesn’t necessarily translate to a better quality as a thin but well-designed one may in the long run offer solid support. Similarly, you may also consider using a comfortable mattress pad on top right before you use it for sleeping. Ultimately, always and always measure it before committing to purchase it. Neglecting to measure the bed may incur certain avoidable expenses. The sofa bed requires as much room as the conventional bed when fully operational and failing to do so may lead to some inconveniences later when you arrive home with your bed. In addition, if you are planning on placing any furniture or equipment in front of it, it is important to see to it that they are portable and easily mobile to conveniently move them when you are about to open up the bed. These days you can get almost everything online; sofa beds are no exception. They are readily available at the press of a button. You can get discounted offers on online shopping forums such as eBay and Amazon. Furthermore, such online shops provide an array of products which is enables you to choose in accordance to your taste and preferences. 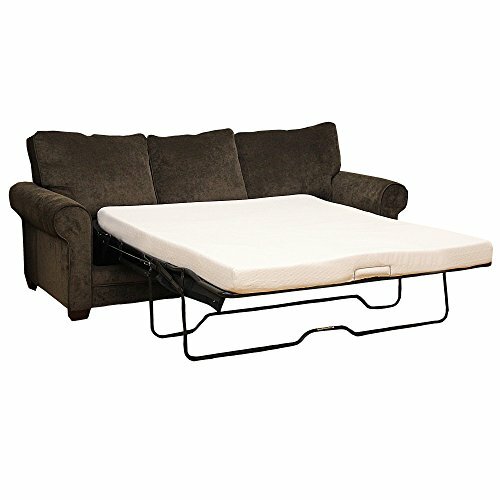 Large retailers, for example Walmart also sell such sofa beds. It is more advantageous to purchase in Walmart as prices are much more subsidized as compared to buying it directly from the manufacturer. Furthermore, such retailers offer after sale services such as delivery to your residence free of charge or at very minimal costs. Similarly, you can also buy a 2nd hand one from friends or even family, but at a much cheaper price. However, the con associated with doing so is that it is likely to have a small defect and can therefore be more costly than purchasing a new one. As the maintenance and repair cost you are likely to use will turn out to be more than even the actual purchase price. The pros associated with buying it directly from the manufacturer is that you can be able to customize your design and therefore be able to take home what you want. However, purchasing it directly from the manufacturer can be quite expensive as they will not be able to cover for your transportation costs. Purchasing a brand new sofa bed is a large purchase. Like another piece of furniture, customers ought to pick on a model that is both elegant and comfortable. Oftentimes, the best way to select on such a model is to visit a showroom or even expo and get a feel for a specific brand. It is also essential that you learn the how the opening and closing mechanism of the bed while still in the showroom or even store. In addition, also lay down on the mattress to ascertain how comfortable it is. Take note of any models standing out and do not commit to buying from an overpriced dealership. Instead, always take time and check on types of sofas and their prices available with online shops such as eBay. In the end, if you follow the above mentioned guidelines, you will be able to end up with a quality product worth your money. Picking furniture largely depends on personal tastes therefore take time to surf the internet on sofa beds before making an ultimate decision.